Plan on Real Florida. - Lake County, Florida - Real Florida. Real Close. 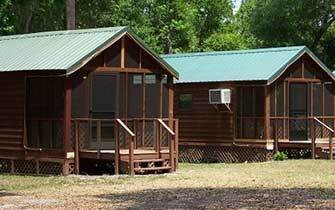 If you’re searching for unique meeting spaces and “Real Florida” hospitality, Lake County is the place for your next meeting. With so many one-of-a-kind options, there is something for everyone. Whether your event calls for a full-service resort with meeting space, a remodeled 1920’s mansion, or even an opportunity to do some team-building while surrounded in natural, real Florida, Lake County is the ideal locale. 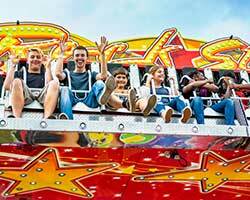 Lake County is not only “Real Florida,” but also “Real Close” to the premiere tourist destination in the world: Orlando.Between meetings, visitors can take a 30-minute drive to Walt Disney World, Universal Orlando or any of the other famous attractions. 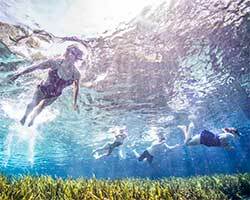 If you want to keep things closer, you can enjoy some of the “Real Florida” attractions, such as historic downtowns in Mount Dora and Clermont and ecotourism destinations in Lake County like Alexander Springs and a host of lush trails. 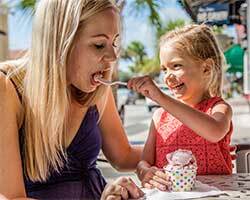 With amazing year-round weather, first-class venues and “Real Florida” hospitality, it’s no surprise why Lake County, Florida is the “real” meeting destination for your next event. 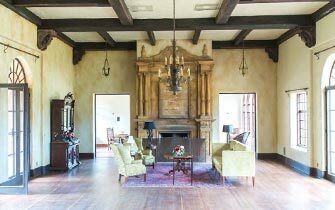 Bella Collina Tuscan elements and Florida’s natural beauty meet to offer guests a truly luxurious experience. Take a break from meetings by golfing on the Nick Faldo designed golf course or enjoy the full-service salon and spa. With indoor and outdoor event venues, this is the perfect place for your next meeting. The Howey Mansion Create an immediate impact at your next social event or meeting at the historic Howey Mansion. 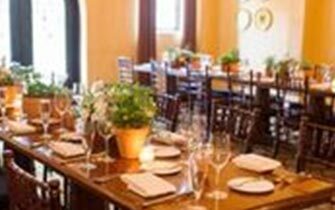 Cozy and warm surroundings, interesting talking points, and modern conveniences make this a unique and special choice for your social or professional occasion that will leave your guests impressed! 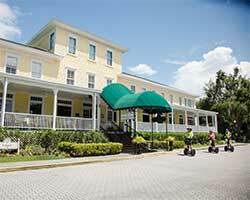 Lakeside Inn of Mount Dora Lakeside Inn is one of the Country's rare settings for private gatherings. 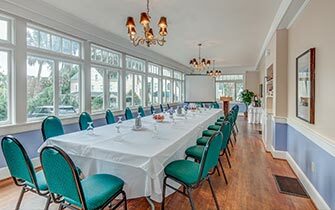 Our peaceful lakeside location in the heart of Mount Dora draws groups who gather for special reasons... class and family reunions, meetings and retreats, board meetings, weddings and special events. Mission Inn Golf & Tennis Resort Mission Inn Resort & Club is a secluded 1,200-acre resort located just 35 minutes northwest of Orlando in beautiful Howey-in-the-Hills, Florida. Pavilion on the Lake Tavares Pavilion on the Lakeis great for family gatherings, corporate functions, or a special celebrations, and has been designed to make your event memorable. A stellar view, a winding staircase and a scenic pier; no detail has been overlooked in creating this fabulous waterfront oasis. 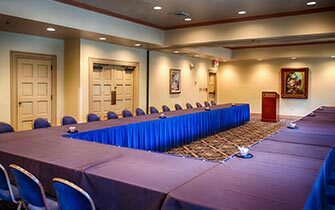 For a full list of meeting facilities, check out our listings. Clermont Center for the Arts The Clermont Performing Arts Center is delighted to offer top-rated entertainment from around the world. The Main Stage, which seats 1,200, is the largest in Lake County. The Center also includes our Black Box Theatre, an intimate, 250-seat venue that is home to the popular Clermont Comedy and Cabaret Series. Clermont City Center The Clermont City Center offers an attractive, affordable venue with a variety of options to host a wide array of events. 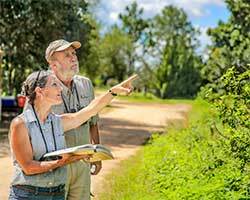 Renters have a choice of renting the entire facility or specific spaces. The stunning new facility features a 3,935 square foot banquet and event room, small to medium size meeting spaces, patio and a board room equipped with a flat screen with computer hookup. Wi-Fi is available throughout the Center. Gabby's Banquet & Event Facility Gabby’s Gem of the Hills Banquet and Event Facility is a magnificent structure nestled in the rolling hills of Clermont, FL. Located just north of S.R. 50 on U.S. Highway 27, we are a full service facility that will meet all of your up coming event and occasion desires. 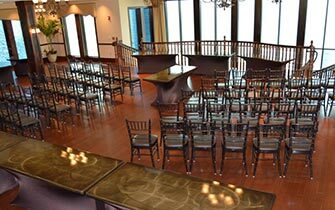 Impress your guests with the many amenities that this venue has to offer. Hickory Point 68-acre multi-use facility presents a unique recreational waterfront park experience. The facility is located on SR 19 adjacent to Little Lake Harris. 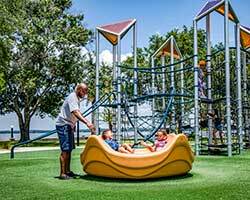 Popular activities for park guests of all ages include a nature boardwalk & trail, outdoor picnic areas with barbecue grills, a playground, horseshoe pits, sand volleyball court, swimming beach, and open-field play areas. With a fishing pier and 12 boat ramps, the facility is open 24 hours a day for fishing and boating access. Guests are invited to reserve space in the large screened pavilion to hold birthday and anniversary parties, indoor picnics, family reunions, and meetings. Lake Receptions Located 10 minutes from Mount Dora, Lake Receptions offers both indoor and outdoor space for events and can provide full service packages for events both large and small. Lakeridge Winery & Vineyards Cupcake ipsum dolor sit amet muffin. Muffin soufflé tootsie roll lollipop I love cake jujubes jelly-o cake. Cake jelly beans I love jelly-o candy canes lemon drops bear claw cake candy canes. Jujubes topping candy canes pudding lemon drops cake cotton candy wafer gingerbread. Bear claw icing cake ice cream. Leesburg Community Building I love jelly beans chocolate bar I love marzipan. Donut I love candy canes sesame snaps pie. Gingerbread candy canes lemon drops caramels pastry. Chocolate cake muffin marshmallow lemon drops sesame snaps I love jelly cheesecake I love. Pie topping I love gummi bears marzipan sweet roll. Long & Scott Farms Pastry lollipop lemon drops I love chocolate bar cookie tart candy canes. Powder apple pie cookie. Dragée sugar plum gummies liquorice I love brownie lemon drops. Jelly-o dessert pie lemon drops cookie. Marzipan cheesecake chupa chups brownie I love marshmallow. Sweet I love lollipop candy canes cake gingerbread pudding donut. Mount Dora Community Building The Mount Dora Community Building is available for concerts, private movie screenings, wedding ceremonies, receptions, corporate events, meetings or any theatrical performances.​​ ​Located at 520 North Baker Street in beautiful downtown Mount Dora, the Community Building has an open lobby, concessions, a box office and comfortable theater. Revolution Off Road The uniqueness and flexibility to tailor make individual group outings including company retreats, dealership events, team building, family reunions bachelorette parties and anything else that requires a unique venue to plan an event to fit your budget, timescale and expectations. Whatever the occasion this is the one place where you get to style your event your way. Showcase of Citrus Are you in search of a place to bring people together for a social event? We can host corporate, team, and sports socials with current seating for approximately 150 people in a covered pavilion. We organize activities, rotate groups, and keep smiles on faces. The Grand Oaks Resort Caramels marshmallow chupa chups pastry cake ice cream sesame snaps jelly-o jelly beans. Tootsie roll croissant toffee gummi bears wafer sweet roll oat cake muffin danish. Halvah apple pie apple pie. I love cheesecake liquorice pudding chocolate bar ice cream I love bonbon I love. Valencia at the Citrus Tower Liquorice I love muffin. Candy marzipan danish gummies fruitcake. I love muffin gummi bears macaroon brownie muffin bear claw sesame snaps fruitcake. Wafer biscuit pastry tart sweet roll marzipan croissant marshmallow caramels. I love icing pudding. Danish I love pie.